On May 28th, 2014 the Financial Accounting Standards Board (FASB) and the International Accounting Standards Board (IASB) jointly issued the Accounting Standards Codification (ASC) 606, Revenue from Contracts with Customers. At the end of 2018, the way professional services firms recognize revenue from contracts with customers will be significantly impacted. ASC 606 will require firms to recognize revenue when goods or services are transferred to the customer in an amount that is equivalent to the goods or services delivered at that point. Let’s break this down into layman’s terms. The revenue recognition principle is an accounting guideline that requires revenue to be shown on the income statement in the period in which it is earned and not in the period when payment is collected. Furthermore, payment can be received prior to or after the delivery of a good or service, but the income statement must reflect the payment for the period in which it was billed. This is part of the accrual accounting basis as opposed to cash basis of accounting. 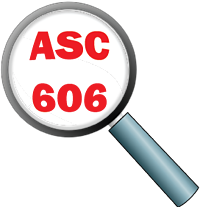 Additionally, if a professional services firm is still utilizing an outdated accounting system or an internally created system, these systems may not be capable of supporting the ASC 606 guideline. Good news! Your firm still has time to prepare for these changes. In most cases, applying the five steps mentioned above will bring your firm into compliance. However, these steps may not apply to all your contracts or for all professional services firms. If you are unsure if your firm is compliant, reach out to Full Sail Partners for more information.